Do you enjoy fried foods? I’ll bet you do. But frying can be so difficult to do at home. Don’t worry, you’re not the only one that thinks it can be a real hassle. It makes a big mess every time, and with all of that oil, the end product turns out being unhealthy and often poorly cooked. Luckily, there is now technology that can make it all much easier, and the technology is electric air fryers. This article will give you some information on one of the best air fryers on the market right now – the Philips Airfryer XL. This article will also give you some things to look for in a good air fryer, and it turns out, the Philips Airfryer XL has all of them! This might sound confusing, but, in reality, it is actually very simple. Electric fryers work by sending hot, electrified air around the food that is placed in the fryer. The air has to circle around the food constantly. If it does not do that, or if the air does not move quickly enough, then your food will be over fried on one side and not done on the other. You want to make sure that your electric air fryer has rapid hot air circulation, or it simply will not work. 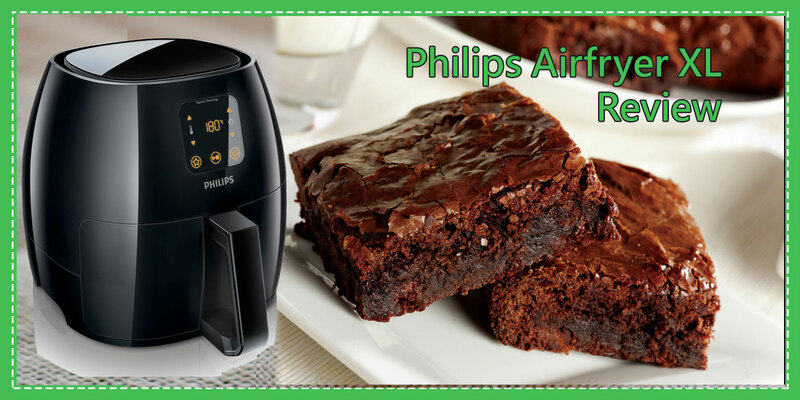 Luckily, the Philips Airfryer XL has rapid air circulation. You can be sure that your food will always come out perfectly fried in this air fryer. Plus, the rapid air circulation means that you can use less oil too! This one is pretty self-explanatory. Frying can require very specific temperatures. Some foods will completely break down if they are fried at too high of a heat. Other foods need very high temperatures to begin frying. You want to make sure that your electric air fryer has temperature control that is not only super accurate but that it also has a wide range of temperature settings. The Philips Airfryer XL not only has a wide range of temperatures to choose from, it also has a digital interface that will help you ensure that you get your temperature correct right down to the degree. This is one of the greatest features of the Philips Airfryer XL. With this air fryer, you can avoid all of the hassle that comes with other fryers. This one promises no spills, little oil at all, and removable components that are super easy to get cleaned. You will never have to worry about spending long amounts of time after cooking your food just to have the fryer ready for something else. Plus, and this is a huge feature, the Philips Airfryer XL is dishwasher safe. Now that’ll take a lot of trouble out of your hands! Not everyone knows exactly what is needed to fry the perfect chicken wing, but chances are most electric fryer owners are going to want french fries at some point. It’s important that your choice in electric fryer has a range of built-in programs that you can choose at the touch of a button. With those, you can pick what you’re cooking, and the fryer will do the rest. The digital interface on the Philips Airfryer XL not only offers a number of preset, built-in programs, but you can also be sure the your temperature is even more precise thanks to the digital interface. When you want fried foods, chances are you do not want to wait. No one likes waiting for food when they are hungry! That’s why you need an air fryer that is fast. Normal fryers can take ages to preheat, but air fryers, especially the Philips Airfryer XL, can have your food ready in no time at all. Question: Can you batter foods that you want to fry? Answer: Yes, this electric fryer comes with a tray that is intended for battered foods. Once the food has been fried, you can remove the baking tray for easy cleaning. Question: Does this fryer appropriately fry the food? Answer: Yes, thanks to the rapid air circulation technology, this fryer will fry your food quickly and completely. Question: Does it take long? Answer: No. In fact, the Philips Airfryer XL is one of the fastest on the market. You will have your food ready in no time. Well there you have it. When it comes to electric fryers, this one has everything you can hope for and more! And, it’ll have your food ready as soon as you want it. Happy frying!